Would you like to play faster? 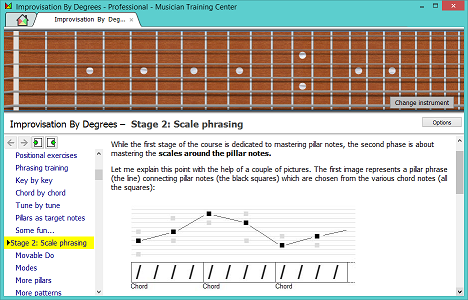 Truly master scales and modes? Improvise better? Read music at first sight? 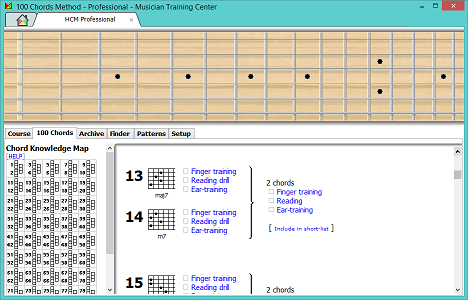 Know more chords? 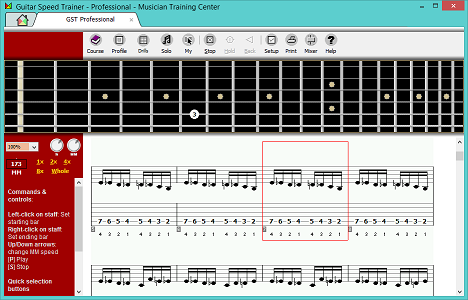 Know every position on the fretboard? Play anything by ear without hesitation? 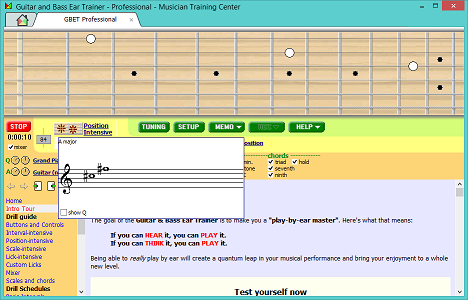 Welcome to micrologus.com's Musician Training Center (MTC). 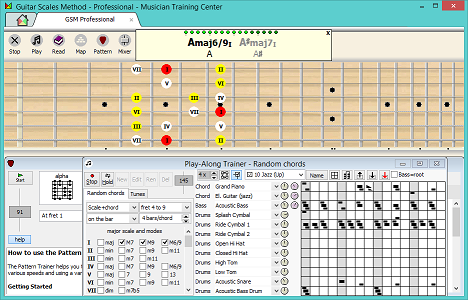 MTC is a multimedia interactive software (Windows and Mac) that helps you practice effectively and develop your musical skills on multiple instruments better and faster than ever before. 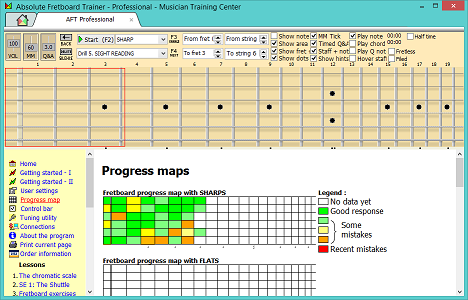 MTC contains courses, play-along drills, and other special training tools that help you increase your speed, super-learn scales and modes, develop technique and precision, master the fretboard, improvise better, cultivate your musical ear, learn sight reading, and develop many other important musical skills. Some of these modules are completely free, while others have both a free trial version and a premium version for sale. More modules, both free and premium, are currently under development and will be added to the program over time. 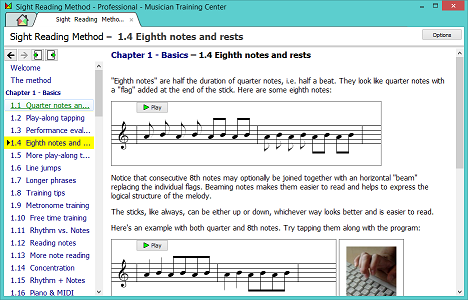 Here you can read more about the various training courses included in the Musician Training Center software, or even better, download the program and discover what it can do for you. Micrologus.com also offers you a free online account which can be used with the MTC software to keep all your training data safely backed up online and always up to date on all the computers where you install the program. All premium courses include free lifetime upgrades. Once you buy any course, all future versions, extensions, improvements, etc. will be free for you, for ever. You are welcome to install MTC on multiple computers and use your free MTC online account to keep your data in sync, just by clicking on the [Sync] button.